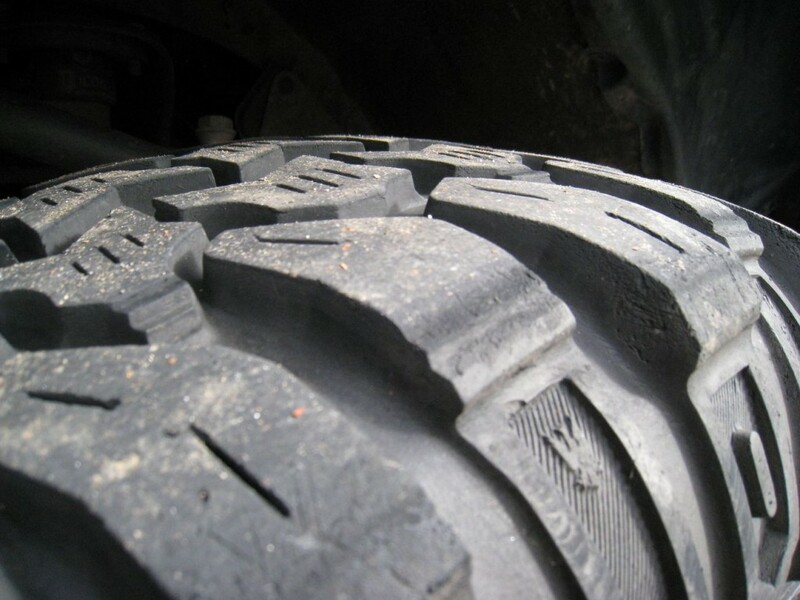 For a lot of folks, selecting the next set of tires for your vehicle is as simple as replacing the existing set with a new set of the same brand. This is one of the primary reasons why opinions on “the best tire” are so limited. 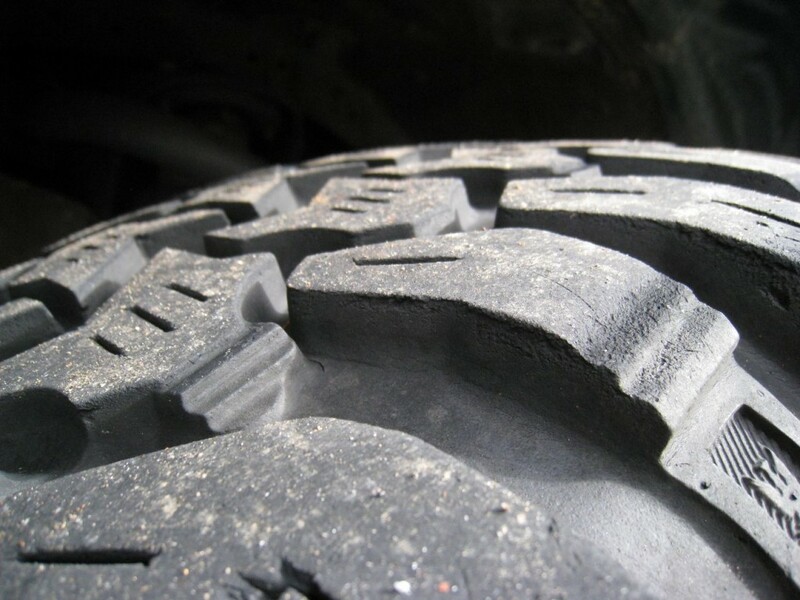 It’s commonplace for consumers to stick to a single brand/model of tire for the lifetime of their vehicle – the theory being that if it works, keep using it. This is the primary reason why I ran BFGoodrich all-terrains for so many years. It was a good all-purpose tire that suited my needs very well in most scenarios. 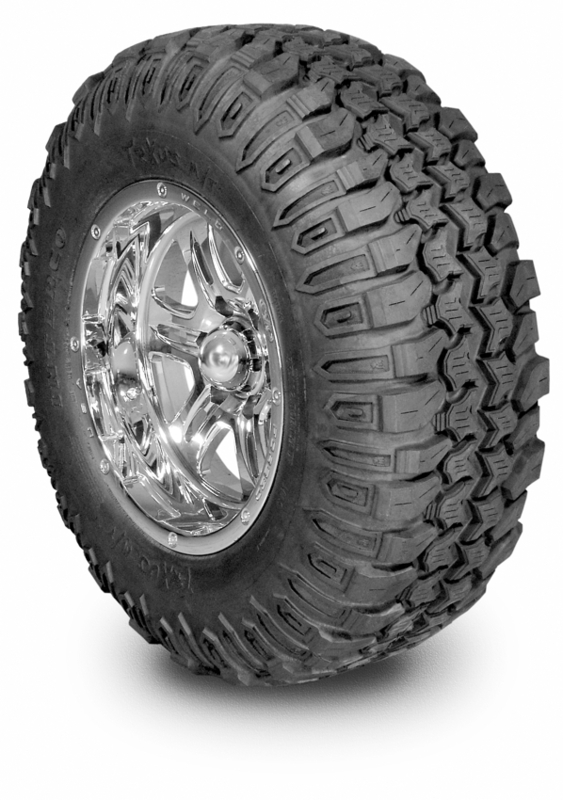 But based on price as well as the reviews provided for the Nitto Terra Grapplers, I took a chance at the time, and switched brands to try something new. And I’m glad I did. I definitely preferred the Nitto all-terrains over BFG’s offering. Not to say it was a better tire but simply that I preferred the look and performance of the Nitto design. Since all-terrains had proven repeatedly that they lacked the necessary traction to get through the tougher obstacles, I decided to try something a bit more extreme this go-around, opting for a mud-terrain tire instead. So, once again, I was facing new territory. 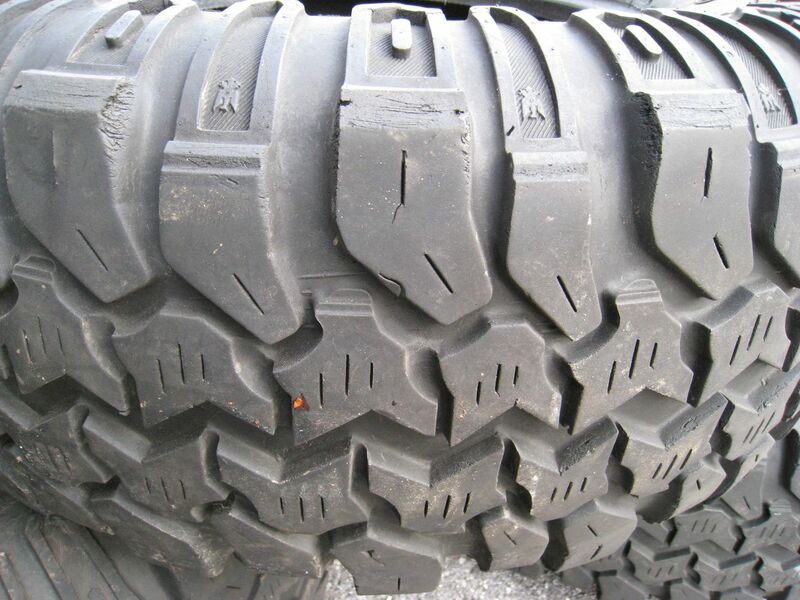 For anyone who has ever faced the vast selection of tires available, you can most likely attest to the magnitude of narrowing down your options to a single choice. Even narrowing down to a brand is a difficult task. I did a fair amount of research beforehand, comparing online reviews, to customer reviews, to marketing hype, to real-world testing and results. Forums can be a great resource as well but the opinions are so widely varied that it becomes a somewhat futile task to filter through all the opinions. And like I said earlier, devotion to a single brand is not uncommon. Very rarely do you find someone who has tried and tested multiple brands on the same vehicle under the same conditions. 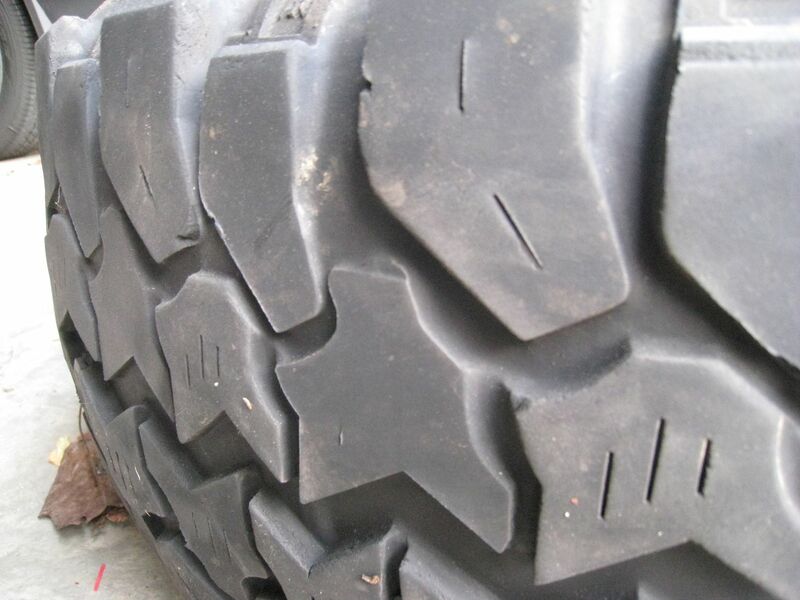 In the end, selecting the perfect tire for your individual needs is at best a crapshoot. After several months of digging and comparing, I finally narrowed down my choice to two options: 1) BFGoodrich KM2 Mud Terrain or 2) Interco TrXus M/T Mud Terrain. 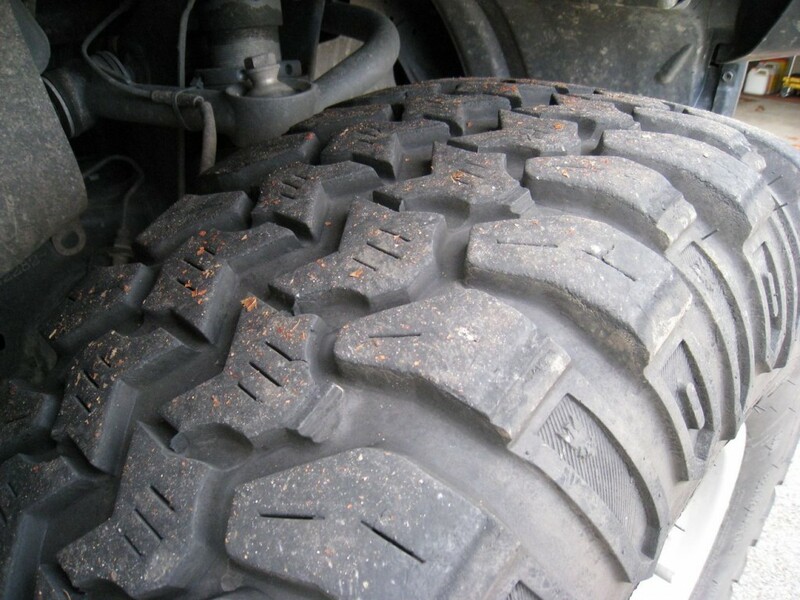 The KM2’s reputation for being a great all-around mud tire is quite prevalent among the online communities – so much so that it’s difficult to find anything negative about this tire. 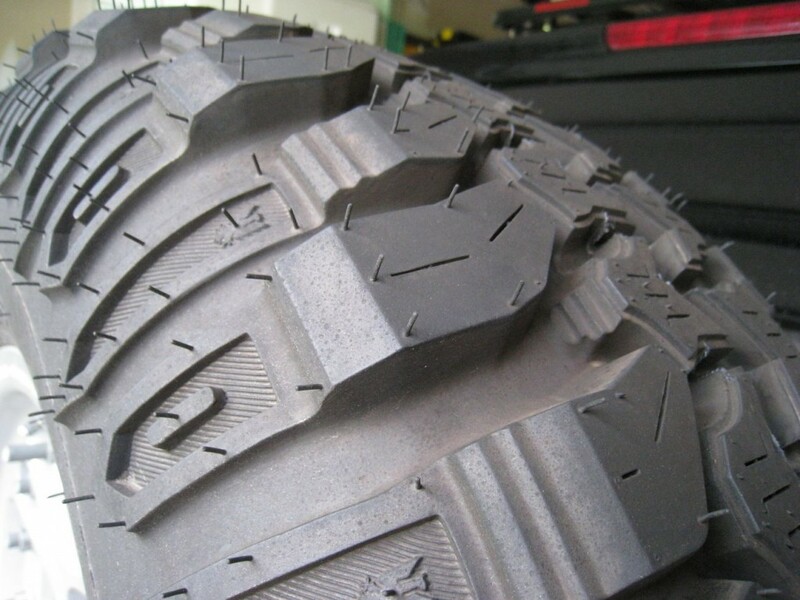 The Interco TrXus MT, while not nearly as popularized, has an even better reputation for grip and performance under virtually all conditions. 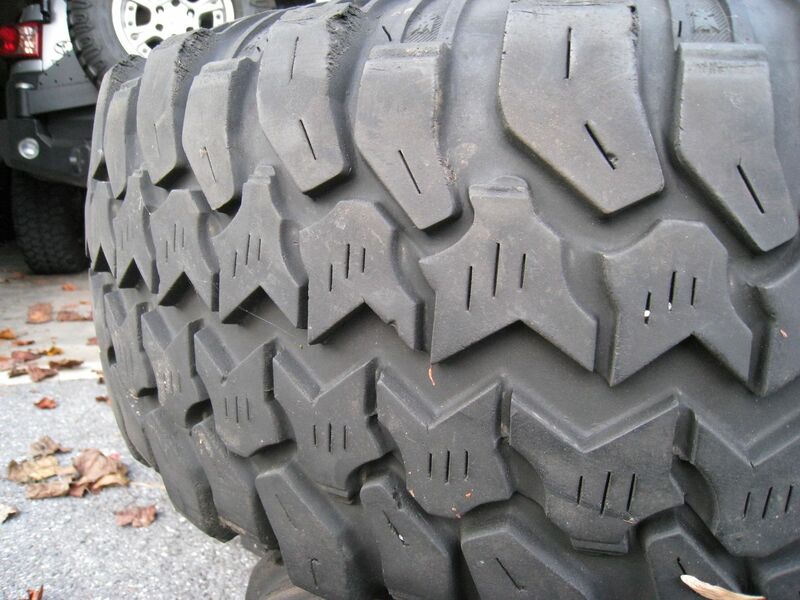 From a pure cost standpoint, both tire models come in at roughly the same price point, but final delivery cost can vary depending on the vendor. 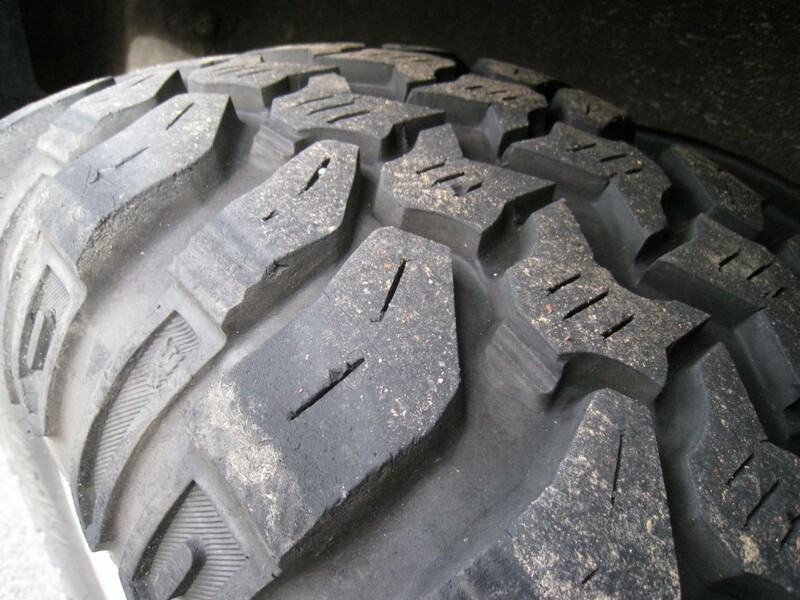 When it comes to product stock and availability, the KM2s are the clear winner as BFGoodrich is a much larger operation than Interco and their tires are typically more widely distributed and more vast in number. Interco, as it turns out, only produces a limited amount of certain tire models and will not produce any more until there is a large demand. This makes locating and purchasing their tires a lot more difficult. The number of Interco vendors is also much more limited compared to the number of vendors that stock the BFG brand. In terms of overall performance, the one negative comment about the KM2s that cropped up pretty regularly, was that performance in slushy or deep rain conditions left a lot to be desired – to the point where driving became a bit precarious. The TrXus MTs on the other hand, got very high marks for grip, particularly when it came to traction under wet and icy conditions. 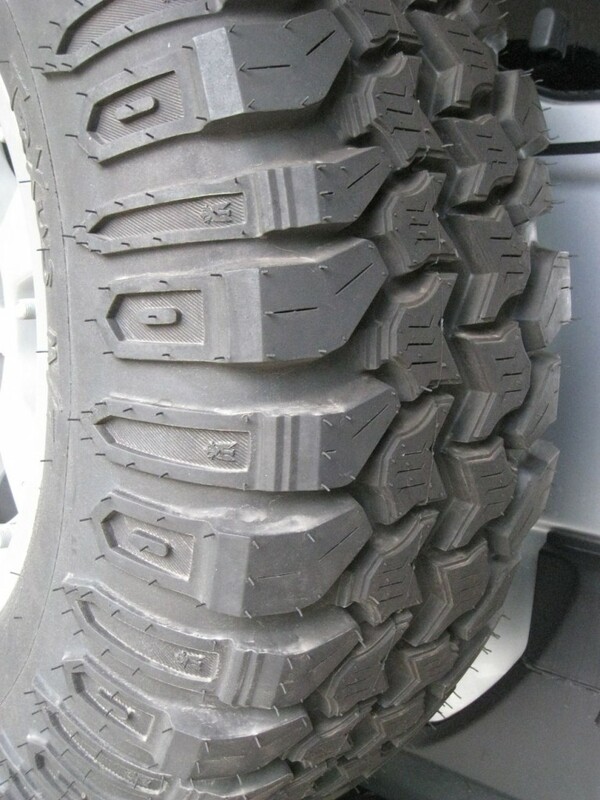 This notable difference in traction is most likely due to a difference in compound density, as well as factory siping, or the lack thereof in the case of the KM2s. The KM2s appear to be constructed from a much harder rubber compound than the TrXus MT. 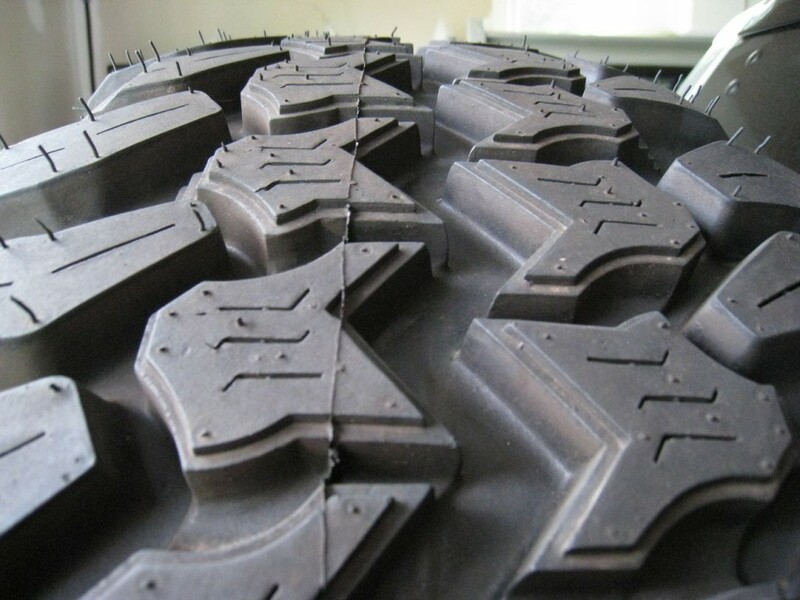 This will ultimately translate to longer tread life but carries the downfall of reduced traction in slippery conditions (when compared to softer compounds). 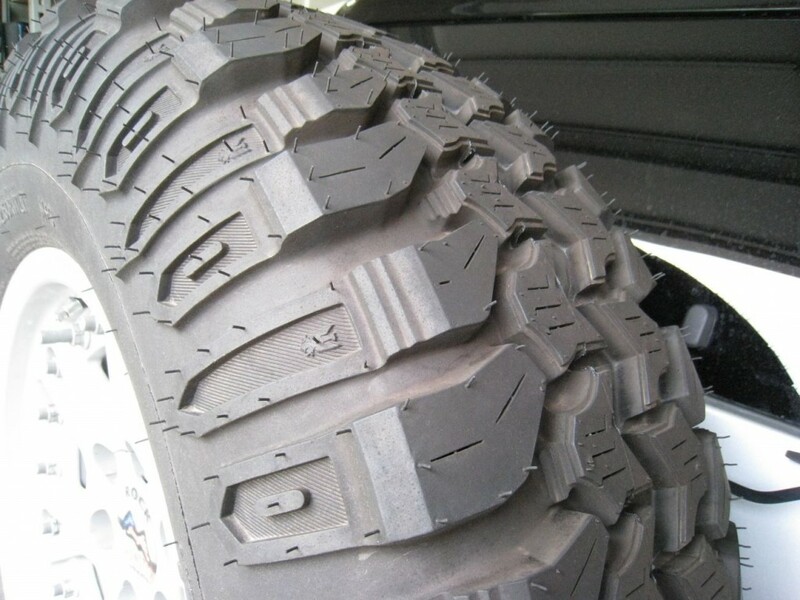 The KM2s also lack any siping from the factory whereas Interco claims the TrXus design includes “more siping than any other mud terrain on the market.” So although the TrXus MTs will wear more quickly than the KM2s, their reputation for performance under slippery circumstances was considerably better. Based on consumer testimonials, the KM2s appear to last around 40-50k miles whereas the highest number I saw quoted for the TrXus was around 30k miles. 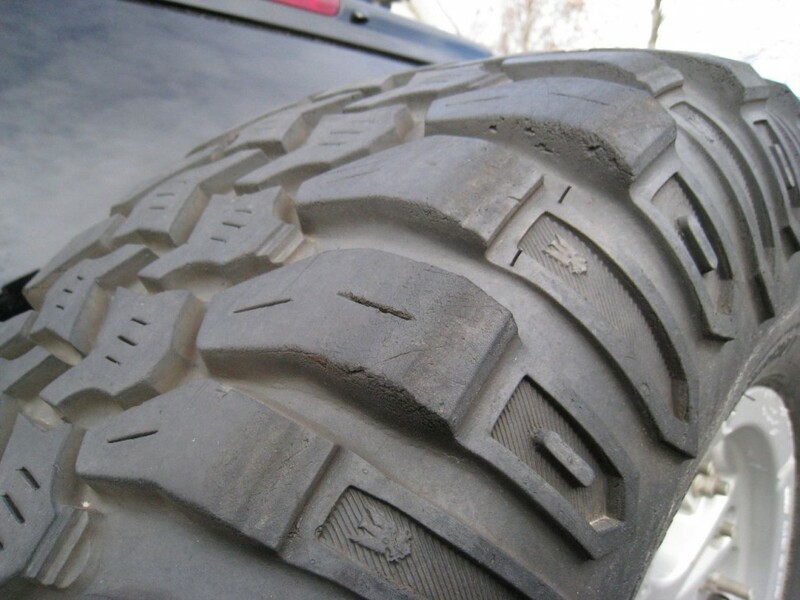 So the KM2s will net you about 50 percent longer tread life. Two additional factors to consider are balancing and aesthetics. 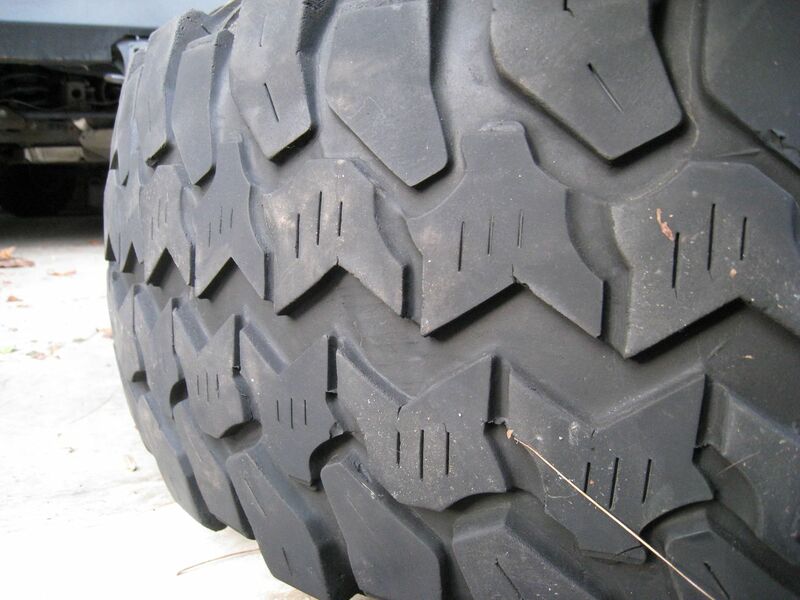 From what I’ve been told, BFG’s manufacturing process is more likely to produce a well-balanced tire as compared to an Interco tire. However, even though I suspect the KM2s are a bit more consistent from one tire to the next, balancing any mud-terrain tire is going to be more problematic than a comparable-sized all-terrain due to the larger lugs and increased weight. There’s also the visual appeal of each tire to consider. 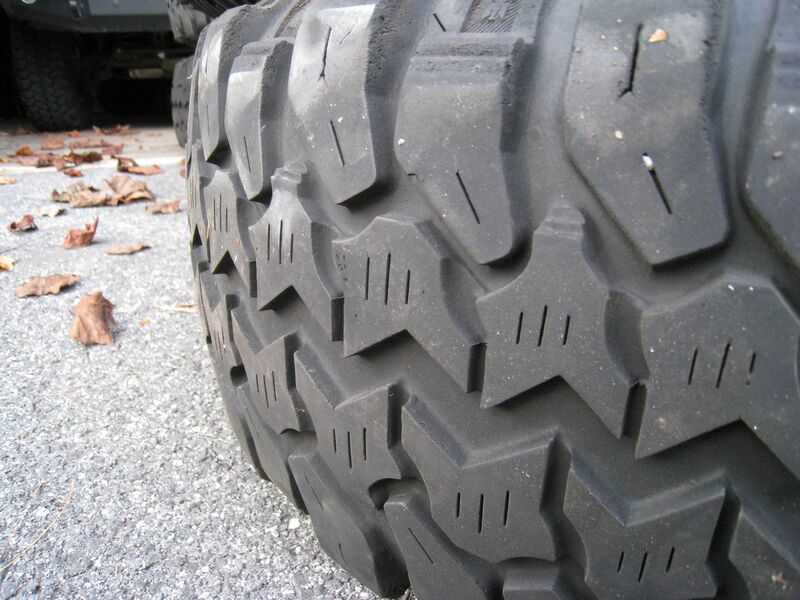 Both of these tires have the aggressive stance and appearance you’d expect from a mud-terrain. 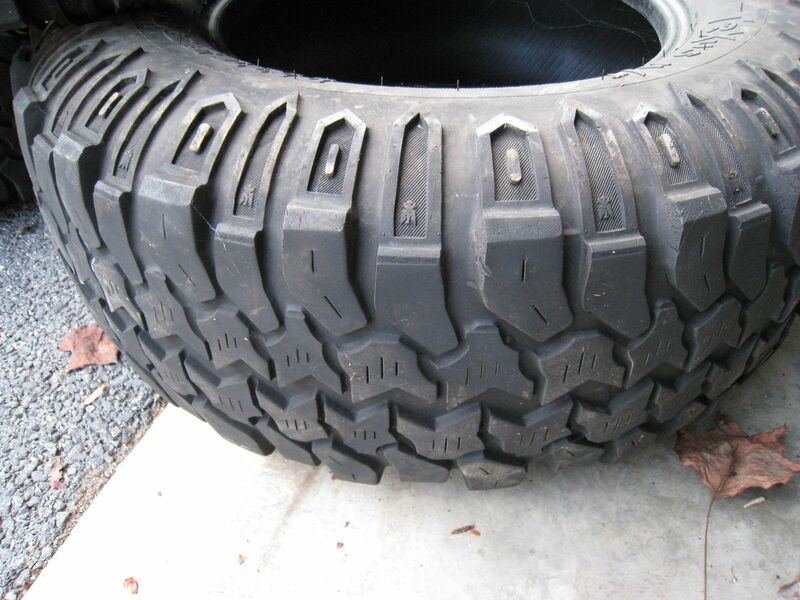 The KM2s remind me of the older military style tire with their large square lugs. 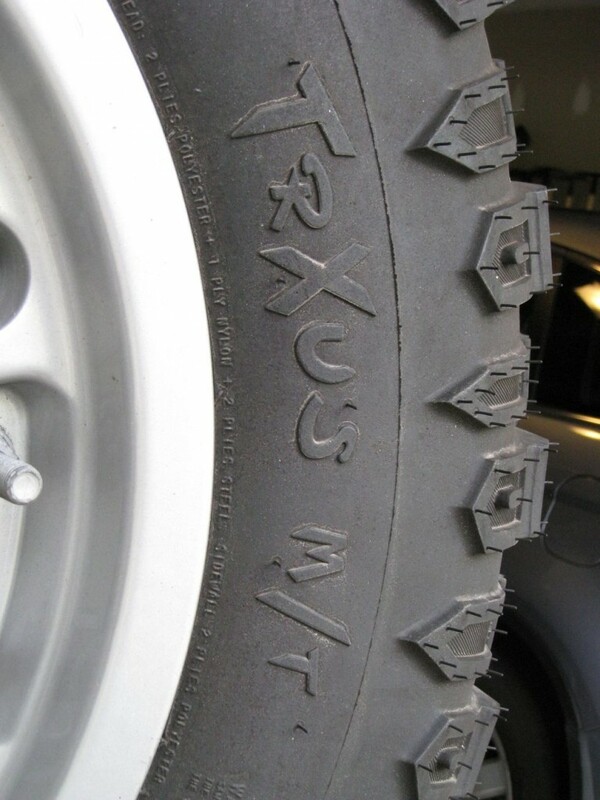 The TrXus MTs have a slightly different tread pattern with alternating shoulder lugs and a very discernible sidewall tread. It’s difficult to rate visual appeal since it often comes down to individual preference. For me, either one would have looked great, so I’ll call this one a tie. In the end, after considering all the various facts and opinions, my decision was pretty easy. Even though the KM2 scored slightly higher overall, my focus at this stage was on gaining the best traction possible, so I decided to go with the Interco TrXus MT in a 33×12.50R17. Of course it wasn’t until after I decided to purchase the TrXus MT that I discovered most vendors were out of stock. Luckily, when I contacted Interco to determine dates for their next production run, they were able to recommend a vendor local to my area that just happened to have five new TrXus MTs in stock. 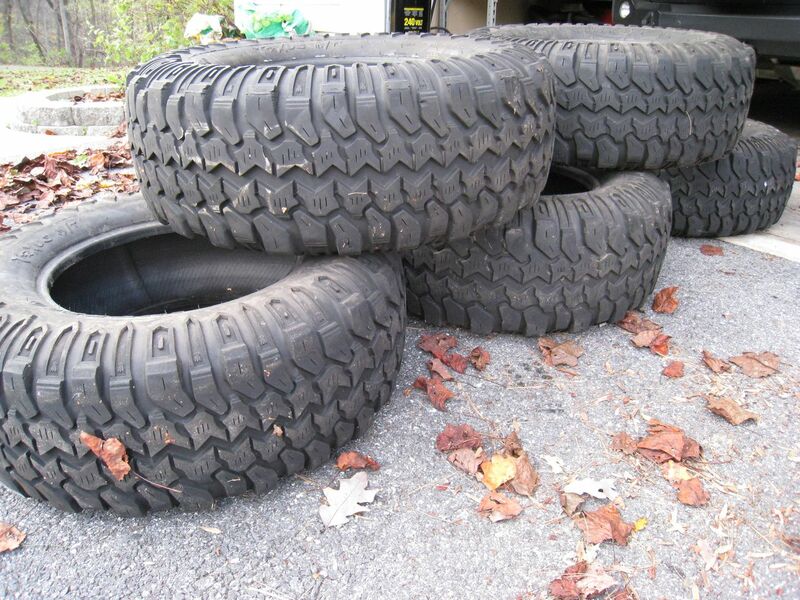 Because the vendor was local, I received five brand new tires the very next day. I initially tried using Dynabeads to balance these tires, placing 10 ounces of beads in each tire, but there was enough inconsistency (lateral imbalance) in the tire design that the Dynabeads were unable to compensate. So I ended up dumping the beads and using traditional weight balancing instead. 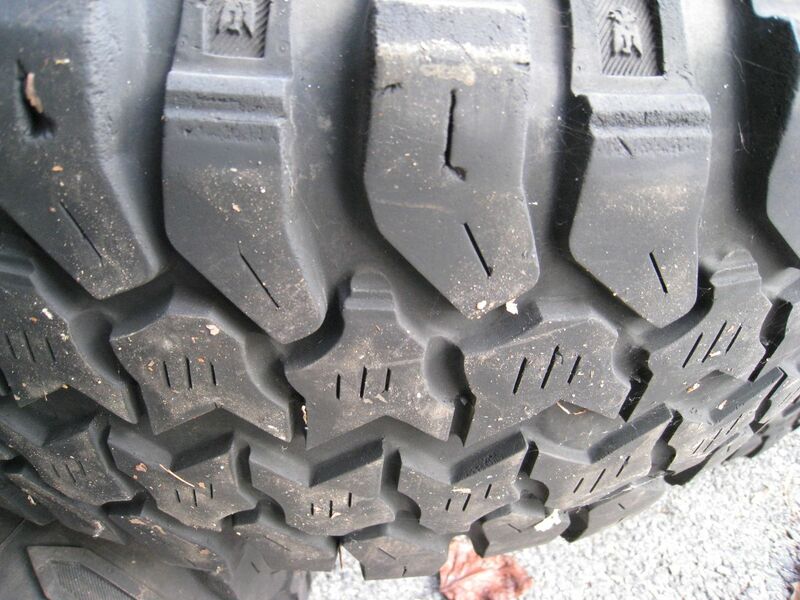 Like many mud-terrain tires, balancing the TrXus MTs did require quite a bit of weight. One tire in particular took almost 20 ounces before it evened out. 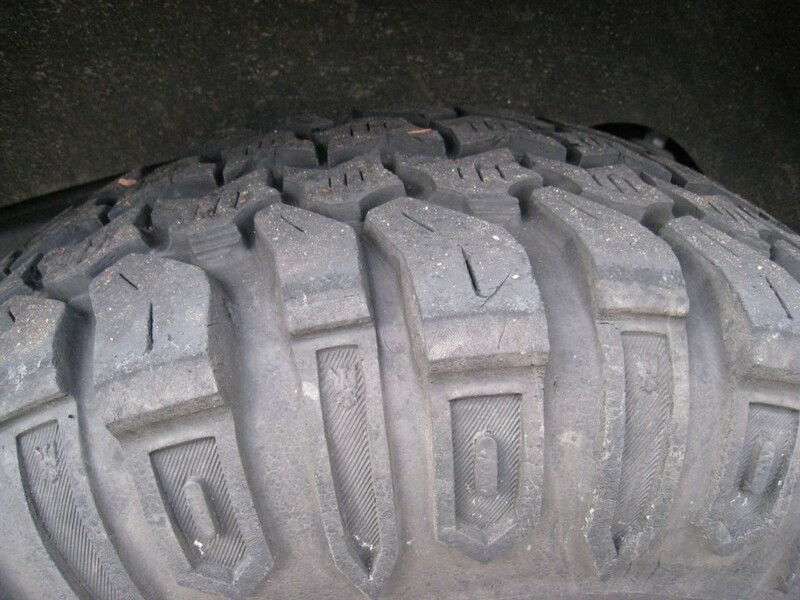 But eventually, all five tires were completely balanced and stable. Initial road tests showed no signs of shimmy or vibration so I was very pleased. I installed these tires at 57,700 miles and after the first 500 miles there’s been no additional vibrations or shimmy – these tires ride smooth. I tried various pressures and actually found that I had the best performance by airing up to about 60lbs per tire. I experimented with various pressures ranging from 32 to 60 pounds per square inch (psi). The standard tire pressure of 32-35psi was just too squishy feeling and I experienced excess wandering as a result. The TrXus MTs are rated at a maximum pressure of 65psi but my particular wheels max out at 60 pounds so I stuck with 60psi per tire just to be on the safe side. I should point out that even at 60psi these tires still feel slightly mushy. In straight line travel, or at lower speeds, it’s not really noticeable. I tend to notice it most when changing lanes at higher speeds (excess of 60mph). I attribute this mushiness to the generally softer compound in combination with bigger lugs and larger voids. I don’t mean for this to sound critical as it’s really not an issue for me. But it is something that takes a bit of getting used to since a little more care and control must be taken while driving at higher speeds. I’ve been running the TrXus MTs for a bit longer now and I’m still quite pleased with my decision. The mushiness issue appears to be diminishing somewhat, stabilizing more so after the first 1000 miles. One of the biggest surprises I experienced with this tire is that they’re exceptionally quiet. While they are still relatively new, the noise level even compared to my previous choice, the Nitto Terra Grapplers, is considerably less. I’ve also had multiple opportunities to test traction during rainy conditions and I have to say I’m ecstatic! 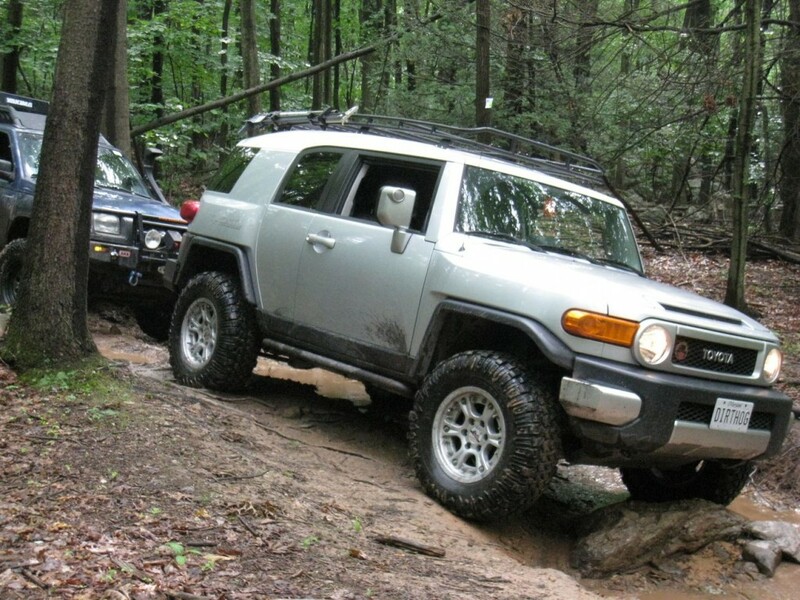 Even with a torque-heavy, supercharged FJ, I have yet to lose traction on wet roads. Multiple testing areas and obstacles that used to require four-wheel drive can now be traversed entirely in two-wheel drive thanks to the aggressive lugs and sidewalls. Initial testing of the TrXus MT’s off-road performance is notably better than its Terra Grappler predecessors, providing superior grip on especially muddy and slippery trails. Further testing will be conducted in more severe conditions and I’m still in the early lifespan for this tire, but I think I can safely say that these tires were designed with grip in mind! I’m very impressed so far. Well it’s been 10,000 miles since the last update. I don’t have much else to report other than wear and tear has been great so far. As you can see from the photos below, I have some minor chunking on the outer lugs but that is to be expected when you run regular rock trails. The mushiness while turning at higher speeds is completely gone at this point. Since I was expecting around 30,000 miles per set, I’d say I’m doing pretty well so far. I still have 3/4 of the original tread left which means I should be able to run these tires for 40,000 miles easy. And for a soft compound mud terrain tire that’s more than I could have hoped for. I did make a slight adjustment to the air pressure recently, reducing the total pounds from 60 to 40 PSI. The ride is definitely more comfortable now but it appears to have taken a slight toll on my mileage as a result. The main reason I reduced the PSI was to gain more comfort on the pavement and I no longer require as much CO2 to refill after airing down the tires. 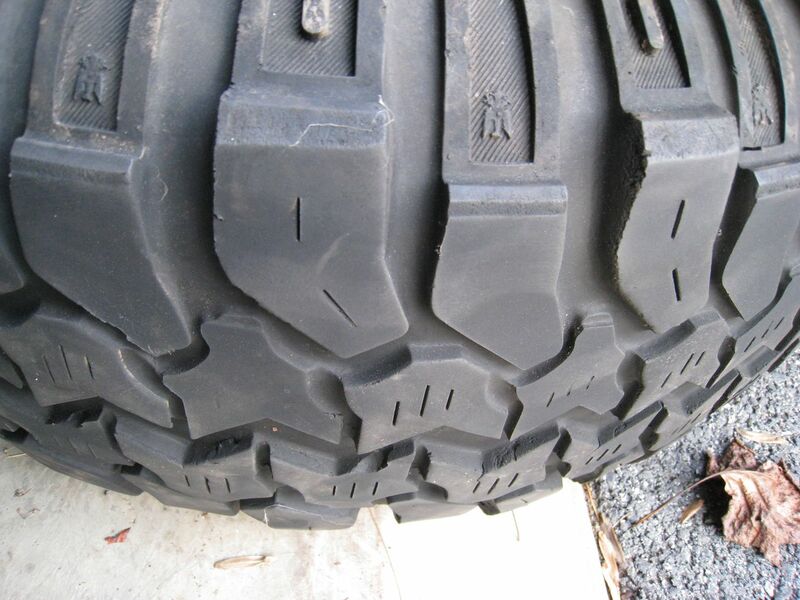 Just for fun, I’ve included some photos to give you an idea of the current tread wear. With another 4,000 miles under my belt, these tires continue to impress me. Since the last update I’ve been sitting comfortably at 40 PSI with no noticeable depreciation in performance. In fact, there are two distinct advantages to a lower pressure: 1) the FJ rides much more comfortably and 2) I no longer require copious amounts of CO2 to refill them after airing down. I did notice an ever-so-slight shimmy inside the cabin recently so I decided to take the tires in to have them re-balanced. Standard procedure is to remove any old weights first before attempting to re-balance so I was unable to tell for sure if they were truly out of balance. After re-balancing I am still noticing the vibration so I suspect the tires were probably fine. The good news is that after 17,000 miles I am still sitting with 11/32 per tire. Considering I started with 19/32 brand new my estimates of a 40,000 mile life span are probably not that far off. The bad news is that I’ve now tried two different shops in an attempt to eliminate the shimmy and vibration but neither were able to completely eliminate the problem. 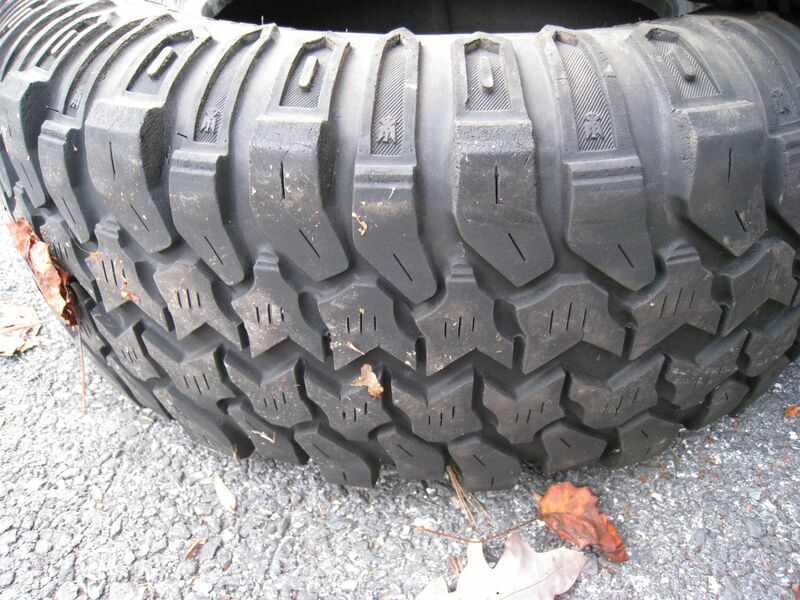 Since the last update, I’ve been able to make a few more observations about the Interco TrXus Mud-Terrain tire. Firstly, and perhaps most importantly, is that these tires wear exceptionally well. At roughly 35K miles, you can see from the photos below that there is still quite a bit of tread left. 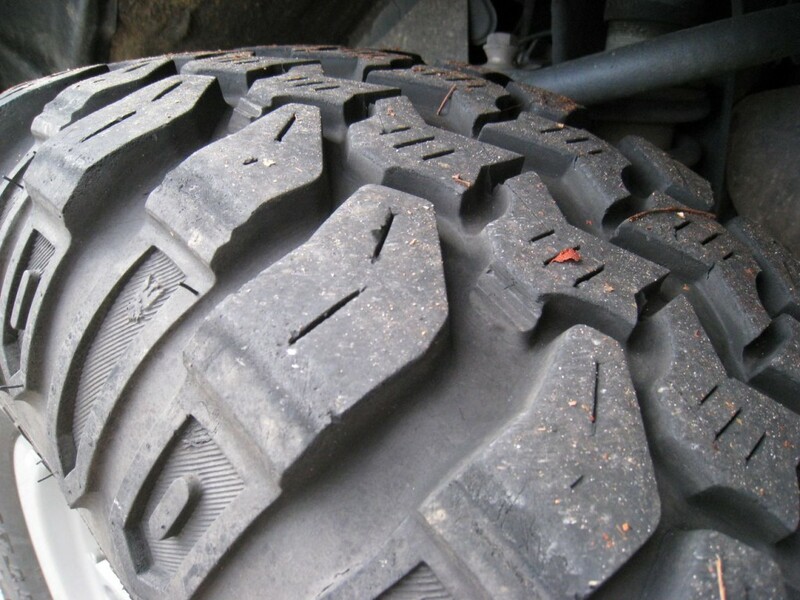 Because of the tire rotations, there is a slight difference between two of the tires, but I would estimate an average of about 40 percent tread remaining. My second observation is that these tires have unbelievable traction when they’re brand new. However, as my off-roading adventures continued over the months, I began to notice a difference in performance both on and off the road. 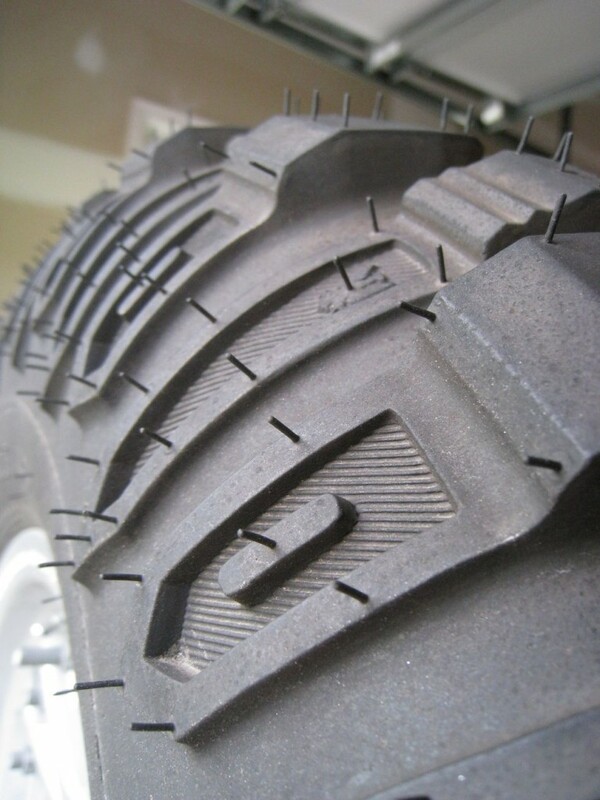 The factory siping and soft compound make for an excellent combination when driving on wet roads. 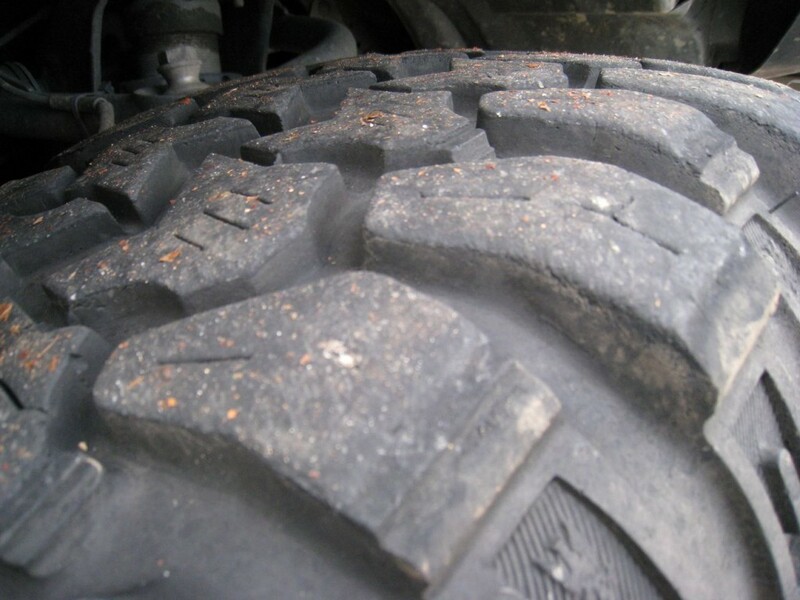 But as the tires wear and the tread depth is reduced, so too is the available traction. 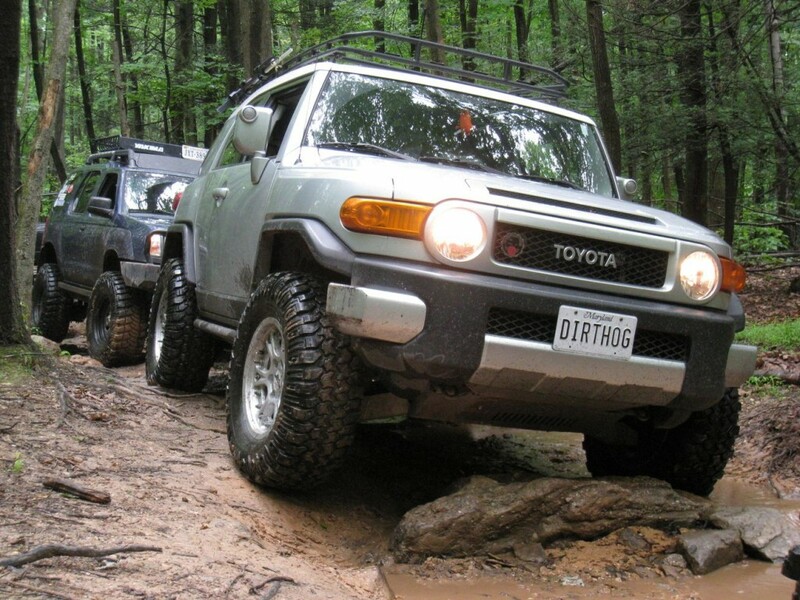 Off-road conditions made this particularly noticeable as there was less available tread for digging and gripping in the mud and rocks. 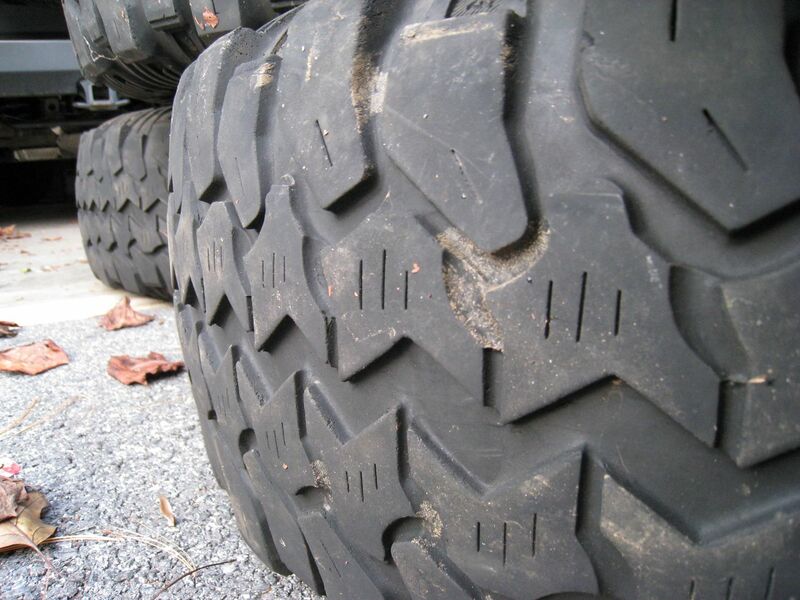 Mind you, even at the 40 percent tread mark, these tires will still outperform an all-terrain tire. So this comment is simply an observation, not a critique. And given my past experience with other brands, I have observed the same levels of degradation with other tires as well. 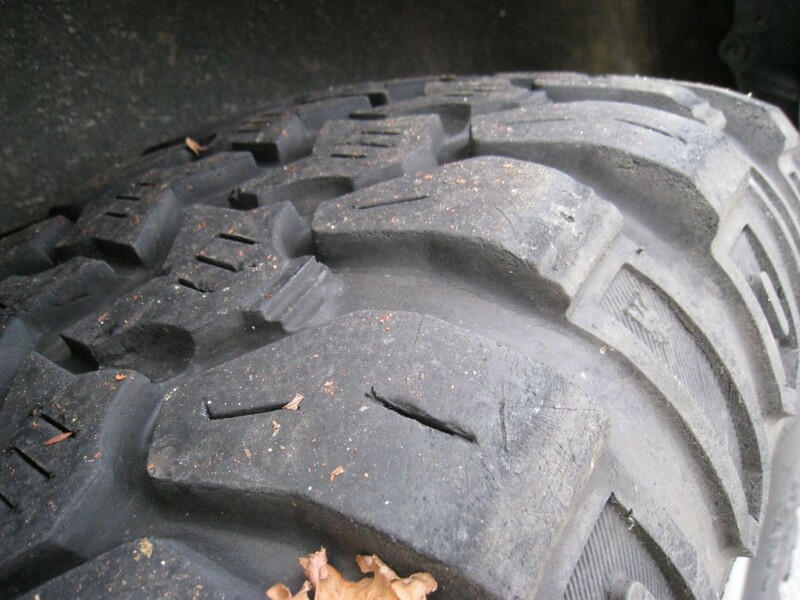 So I suspect this issue will arise regardless of the brand or type of tire you choose. 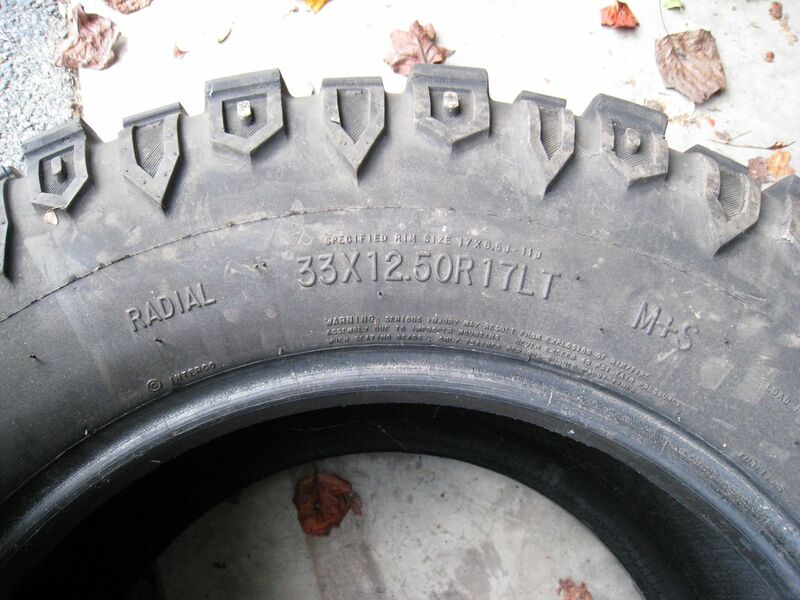 My third and final observation is if you can find a good shop to balance these tires when they’re new, do so and then try to avoid re-balancing them thereafter. Of course if you experience major vibrations or other balance-related issues, it will need to be addressed. In hindsight, I believe I made a mistake in having them re-balanced around the 17K mile mark. They were never the same after that since they could not be properly balanced. 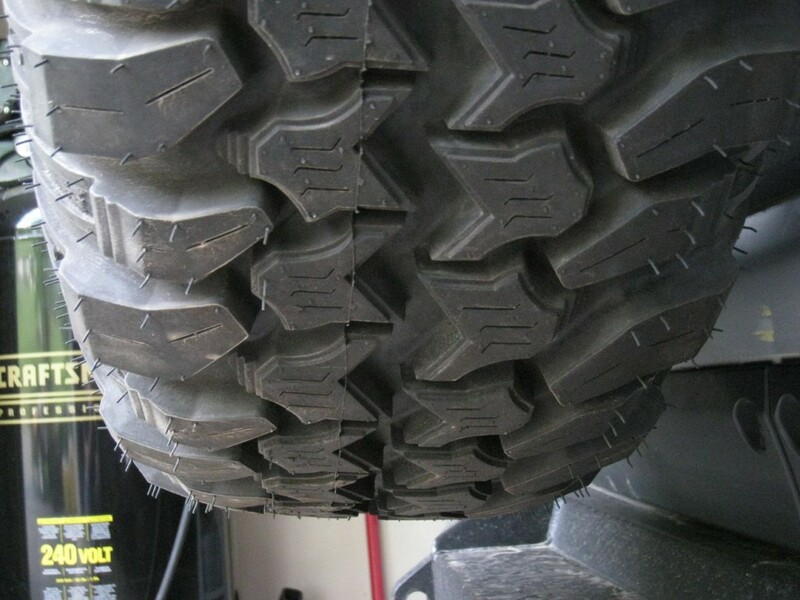 The TrXus M/T tires are difficult to balance when they’re brand new, but balancing once they’re worn is apparently even more difficult. 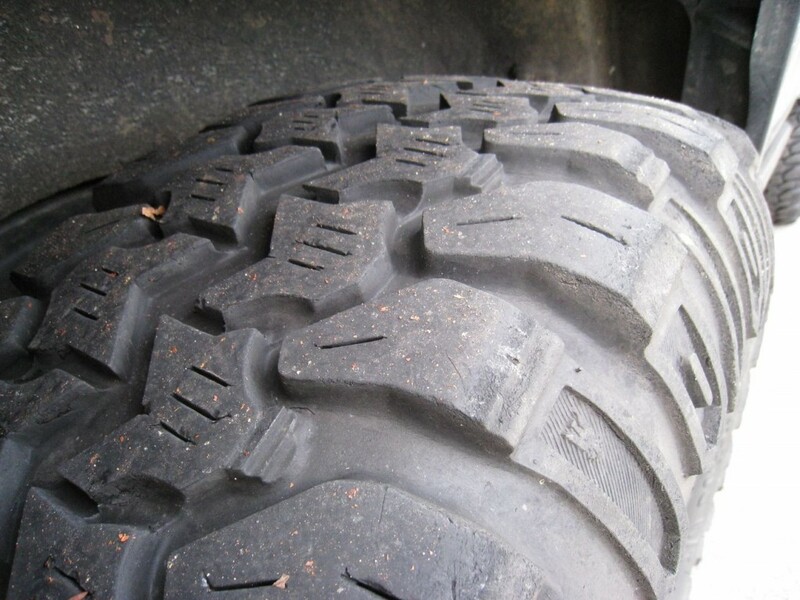 And once they’re out of balance, the wear pattern disparities between each tire become even more noticeable. 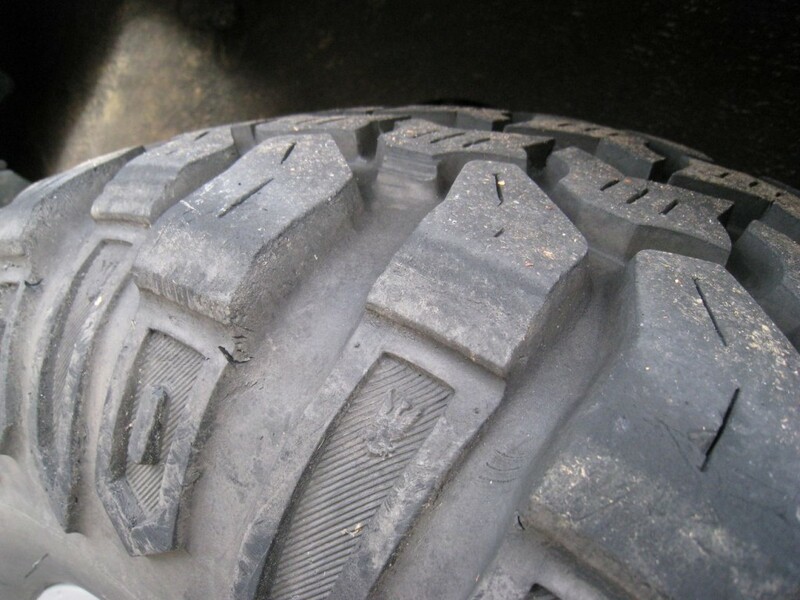 The end result was two tires with uneven wear which caused a lot of unnecessary vibration and annoyance. And over time, this problem became more and more noticeable. 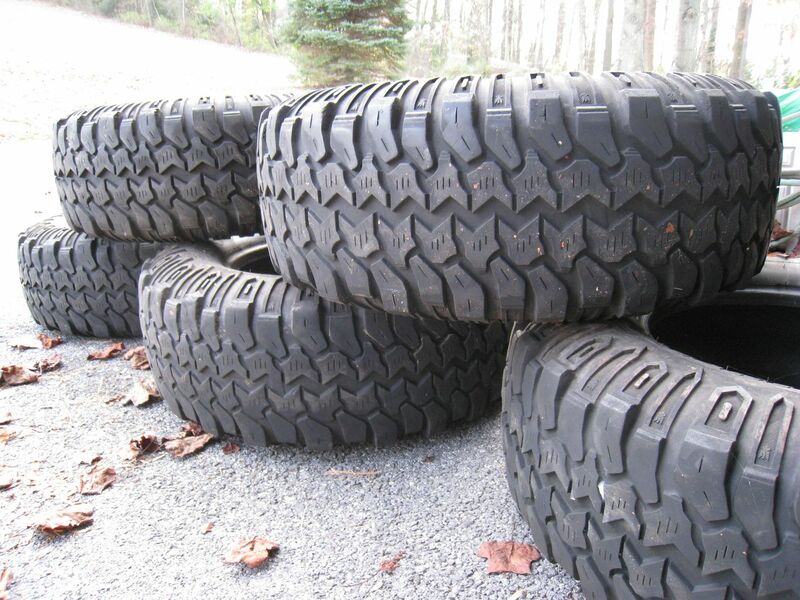 Due to the gradually worsening traction and since I didn’t want mix worn tires with new, I opted to sell the old set of tires for a drastically reduced price and set about purchasing another complete set of the same tire. You might be wondering why I would return to the same brand when considering the issues I experienced in the more recent months. 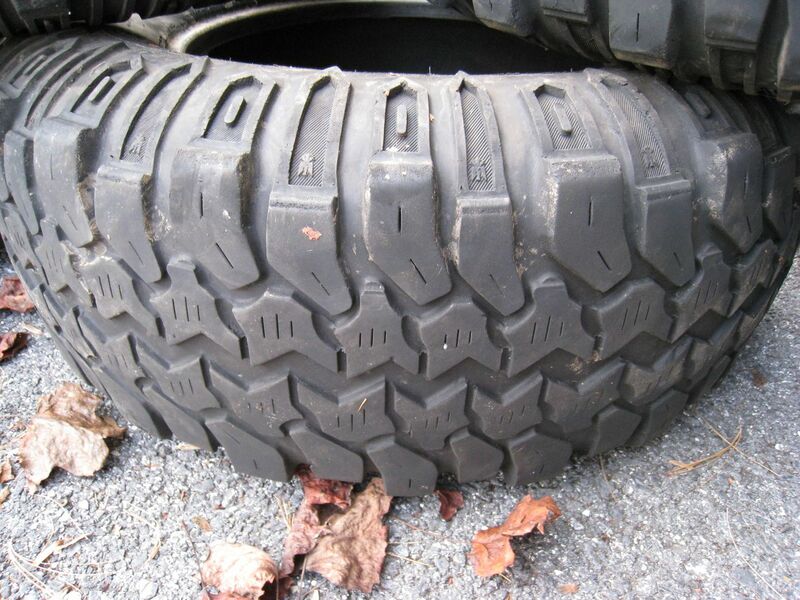 The fact is, the Interco TrXus Mud-Terrain tires is a fantastic tire. Having never owned an Interco tire, I was anticipating getting around 30K miles of life from these tires based on other reviews. As you can tell from the latest photos below (taken at approximately 35K miles), I got all that and then some. 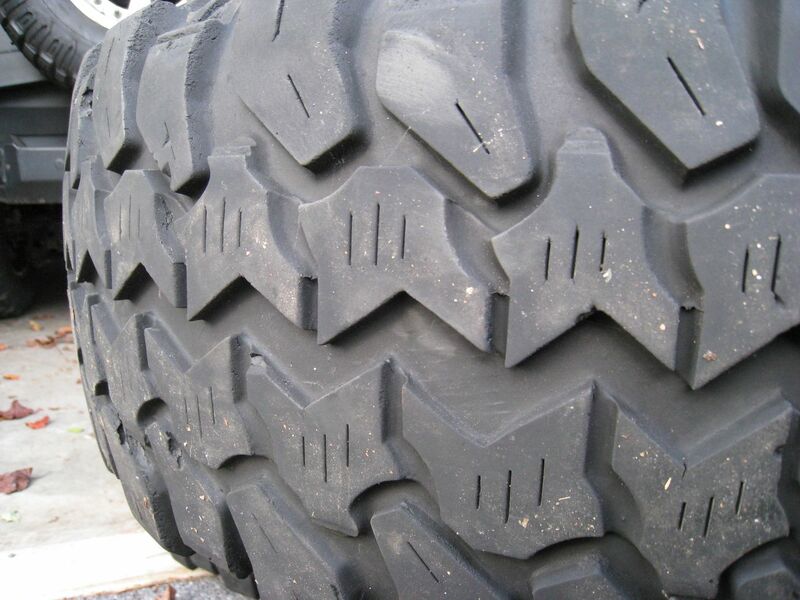 Were it not for the balancing issues, these tires would have easily achieved 40-50K miles of tread wear. 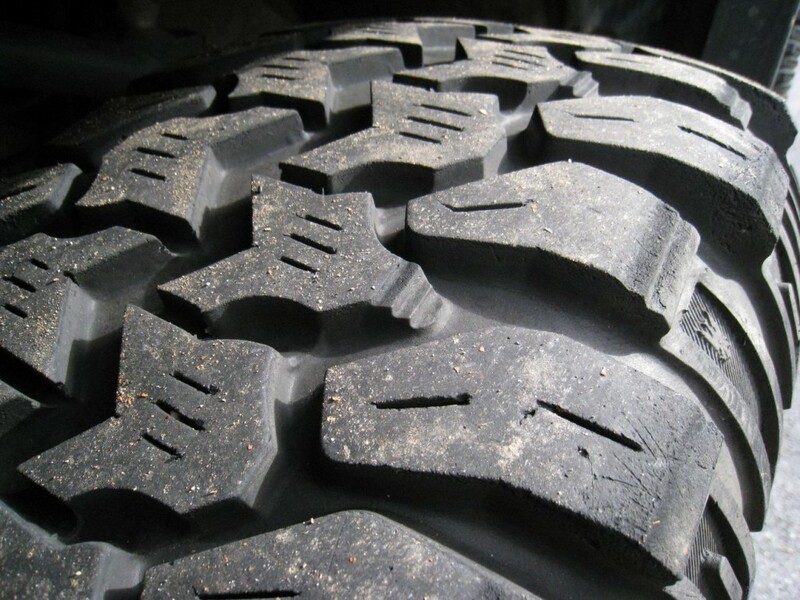 The wet road traction of the TrXus Mud-Terrain is better than any other truck tire brand I’ve tried in the past. There’s simply no comparison. And their performance off-road on the rocks and in the mud was outstanding. 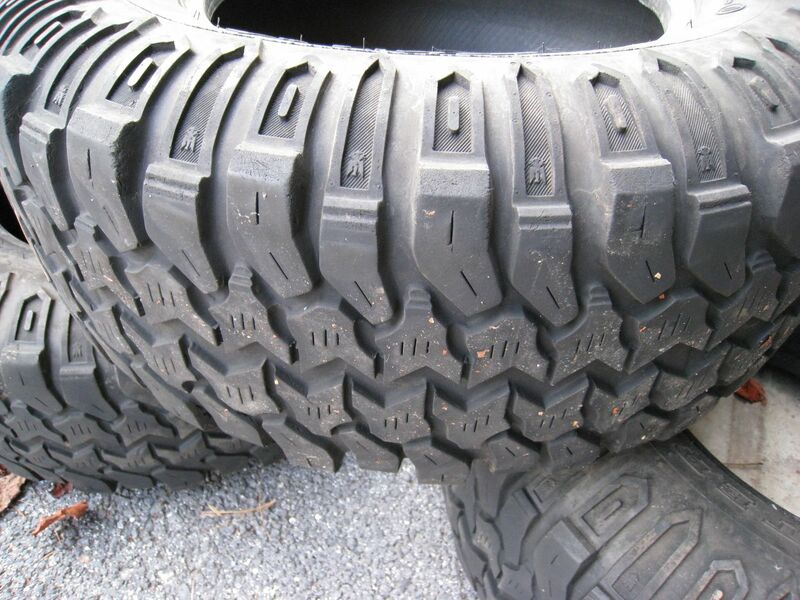 The large tread gaps and soft compound grip and clean very well in a variety of conditions. 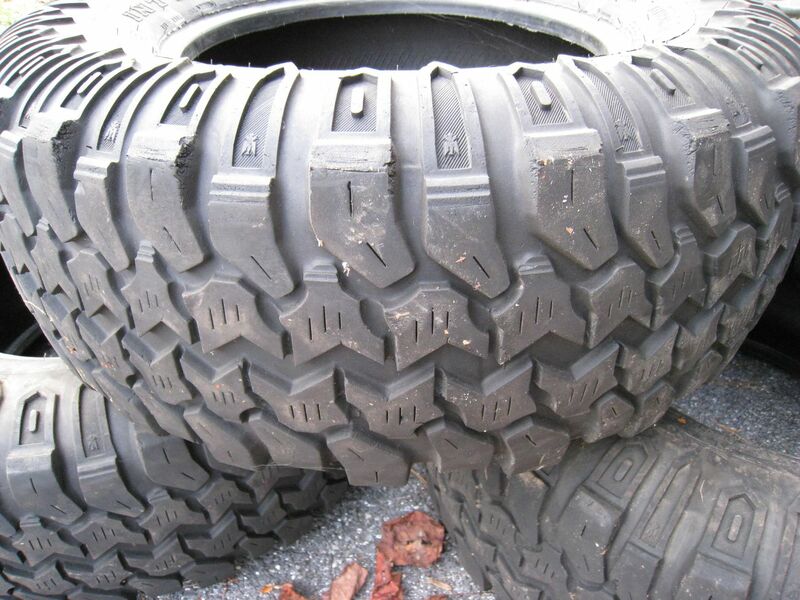 Since I’m now running a second set of the TrXus Mud-Terrain tires, I’ll be sure and update this review if I experience any notable differences in performance or wear. But for now, I’ll conclude this article and consider the review series officially complete. If you’re looking for a mud-terrain tire that performs well both on and off the road, I highly recommend the Interco TrXus Mud-Terrain. 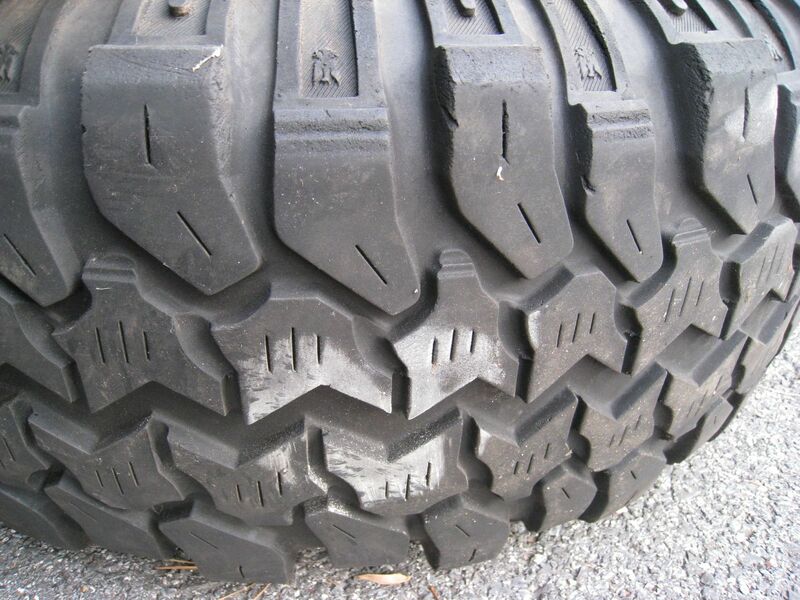 Interco tires may be more difficult to find and not as popular as some of the larger tire manufacturing companies, but in my opinion, you won’t find a much better tire on the market that will offer this level of performance both on and off the pavement. Your Trxus MT still look new to me, after your 13,000 miles. 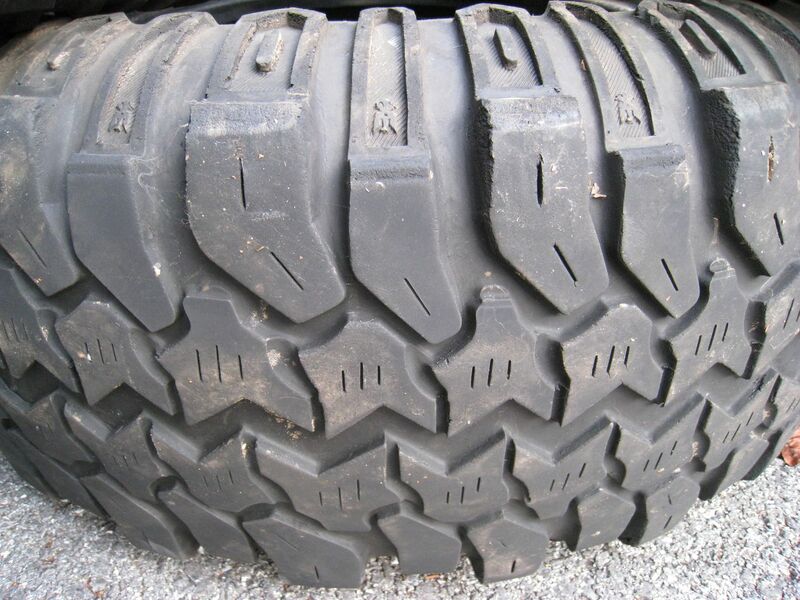 I love Trxus MT treads, but I also love tall narrow and tall medium width tires. How to reconcile those preferences? 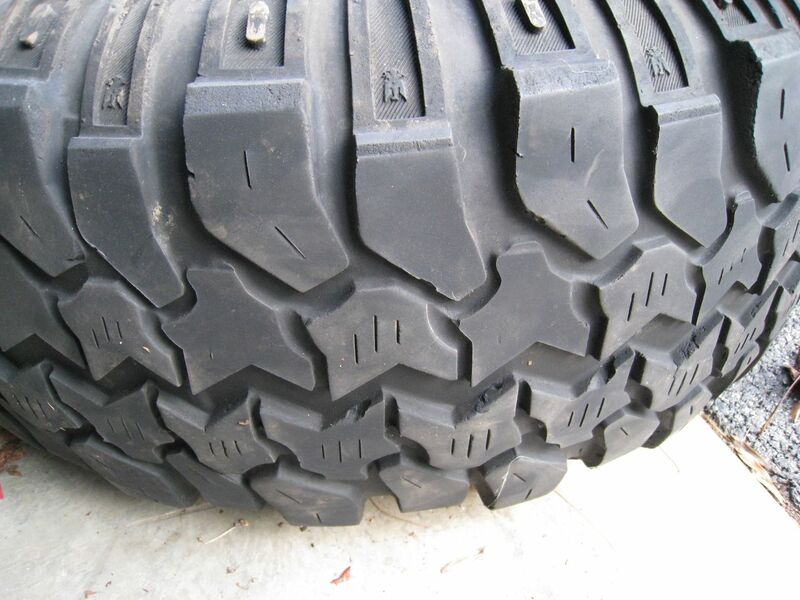 Get Intrerco to make some narrower Trxus MT tires. 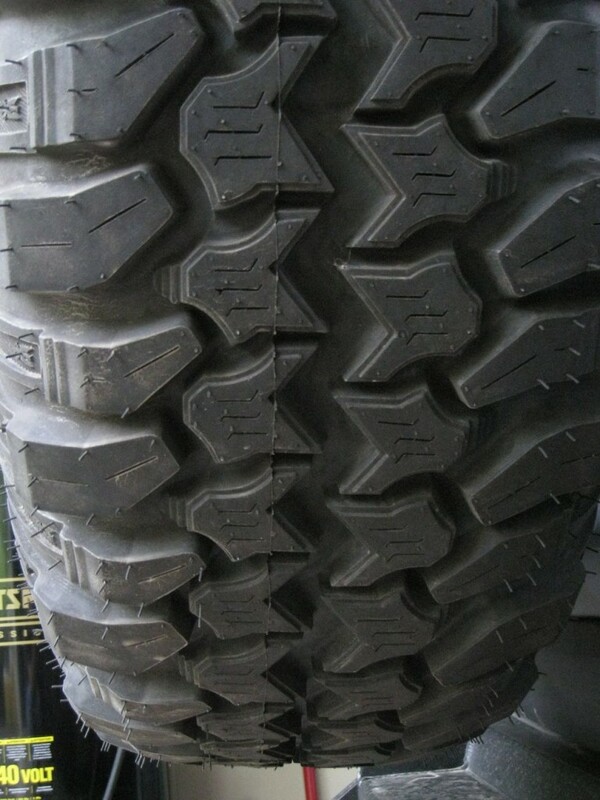 I love these tires. I run them in Summer and Winter.